I have a confession to make: I’ve never been particularly good about setting money aside. Sure, I know how to save money on groceries and find great deals, but making sure money gets set aside each month? Not something I’m naturally good at. Several months ago, I decided to try something different to see if I could get a different result. Today I went to check the balance and was shocked by the amount we’ve been able to save in such a short amount of time! I wanted to share how we accomplished this and why it’s working for us. Step one. Set up a FREE Capital One 360 Checking account. A couple years ago, I set up an account here as well as Kids’ Savings accounts (more on that in a bit). I love it because there are NO fees, no minimum balance to maintain, and it’s ridiculously easy to manage online. I also signed up because you’re able to set up external transfers between other financial institutions. (And yeah… I also signed up because they offer a sweet $50 sign-up bonus when you make 3 transactions – either debit card purchases or person2person transfers – within 45 days). Step two. Set up an automatic transfer. Now, it’s important to note that Capital One is NOT my primary financial institution – and I want it that way. In the past, if I’ve transferred money from my primary financial institution checking to my savings, it’s just too tempting to see those funds there and move them back. My moving that money to another institution entirely, it’s a bit out of site, out of mind. The money is still 100% accessible, but because it takes a couple days for the transfer to occur, it really makes me stop and pause before moving it over. What we did is a few months ago was to set up an automatic transfer of funds from our primary financial institution to coincide with one of my husband’s paychecks. We decided we wanted an amount that wouldn’t kill us, but one that would stretch us too. You can adjust this amount or frequency at any time. Step three. Create additional free accounts to segment your money. 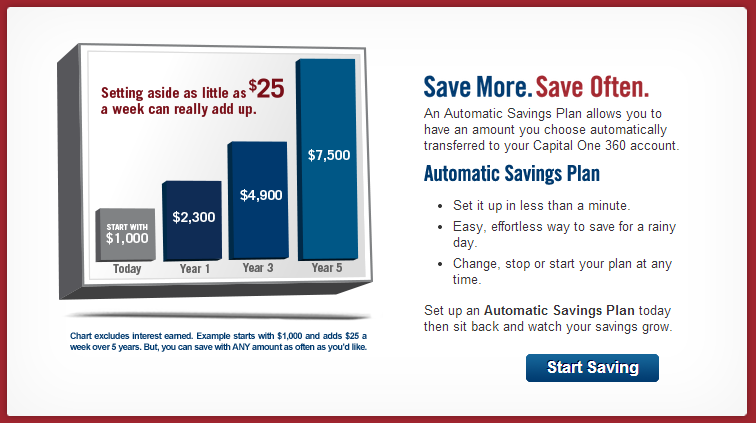 Recently, I added a Capital One Savings account – it took all of a minute to do as we’re already account holders. I was able to give that account a nickname (“taxes”) so I could begin to siphon some of the money into that fund. This is really useful if you have several categories of items you’re saving for simultaneously. You could create a vacation fund, rainy day fund, Christmas fund, etc. Step four. Don’t forget the kids! About the same time I started our Capital One 360 account, I decided to open FREE savings accounts for each of our kids. During that time, I’ve had a small automatic monthly withdrawal of about $10-20 that’s gone into each of their accounts. Today each child has several hundred dollars in their account and it was totally painless to achieve that! My kids know about these savings accounts and sometimes we put special Christmas and birthday monies in this account as well. Step five. Step up your monthly savings as you’re able. We recently had our income increase, so we’ve decided to put this extra amount into savings instead of increasing our monthly expenses! As your income increases or financial situation changes, try increasing the dollar amount of your month savings. Get started saving today! Open your free Capital One 360 Checking account. Remember, you’ll earn a $50 bonus when you make 3 debit card purchases or person2person transfers in 45 days. You might also consider opening a Capital One 360 Savings account – just note there’s no bonus for doing so at the present. Next, consider a reasonable amount you want to set up for automatic savings transfer each month from your primary financial institution. We like having our automatic transfer coincide with a payday – that way it’s out of our account quickly. You can also make transfers whenever you want! 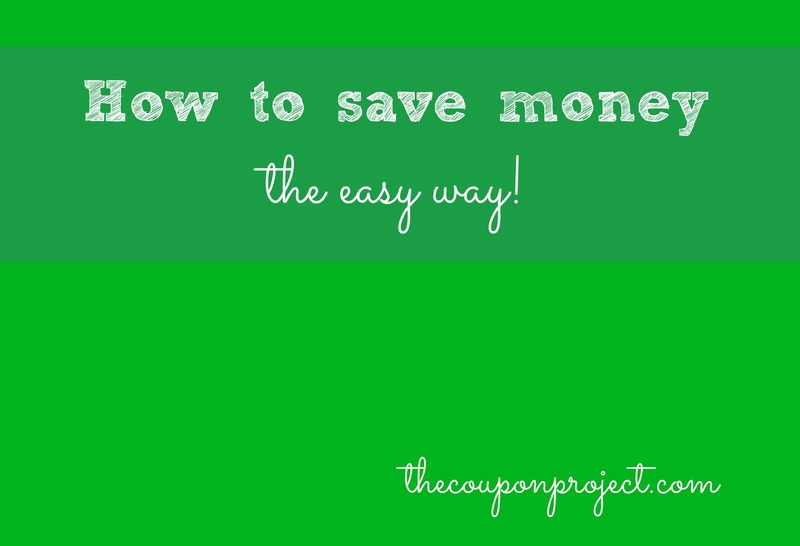 If you have tips for setting money aside and growing your savings, I’d love to hear them. How have you been able to have success in this area? Starting is the HARDEST part! It was easy for me to gain momentum and cut expenses and increase savings once I saw the same progress you mentioned above. I encourage people to just start even if $10 a month is all you can manage. Yes! It was ING Direct when we first signed up too – so maybe it was more than a couple years ago! And agree, agree on that $10. That’s what we’ve been able to do for our kids and now I’m at a place where I’m debating siphoning several hundred of those dollars off into their college fund! I didn’t even FEEL those dollars come out of our account and am convinced this works.